New for 2017, the 4.8 inch psycho shad minnow. This lure features a large paddle tail for heavy swimming action. For easy and versatile rigging, it had a hook slot on the top and at the bottom. 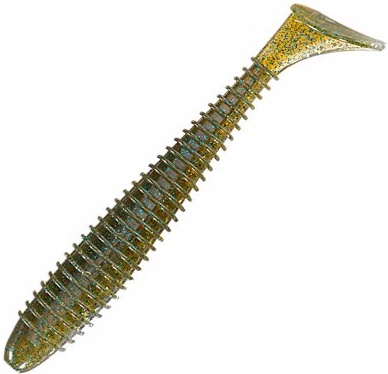 The ribbed body gives off vibrations that attract the bigger bass. Try them rigged with a jig or on an umbrella rig. 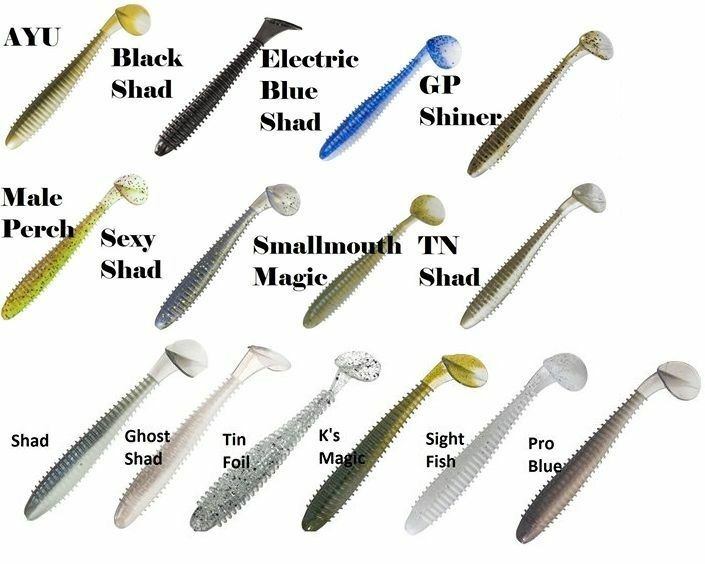 Compare to the Keitech Fat Swing Impact baits.